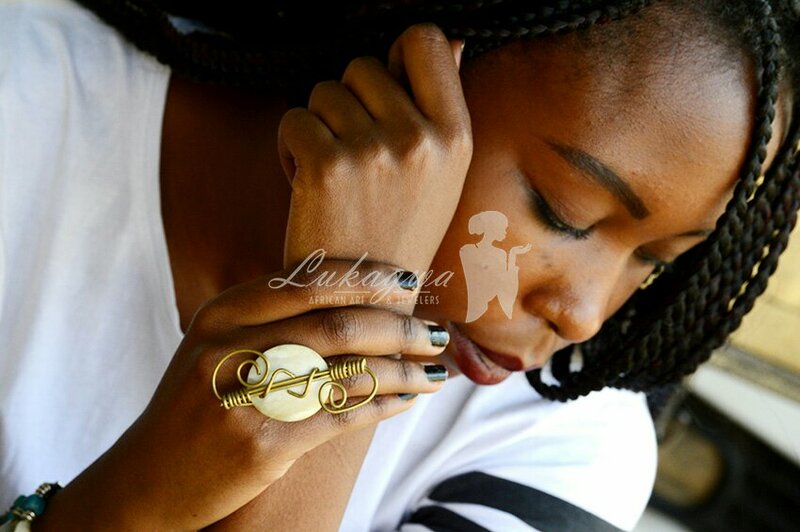 Lukagwa’s hair accessories are inspired by our urge to accessorize our own dreadlocks. We also took into account sister locks and women of color who like to keep their hair natural. 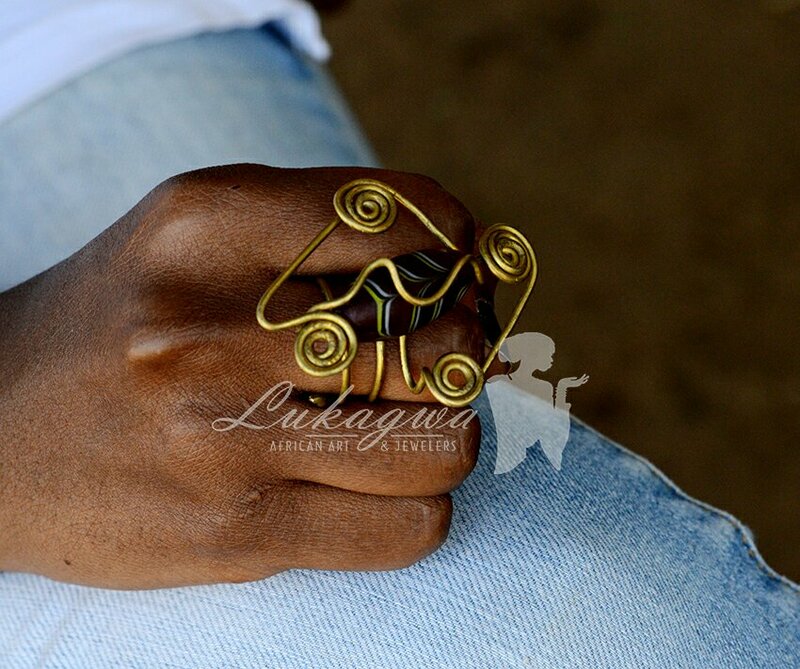 Check us out on http://www.etsy.com/shop/lukagwa for a selection of our classy Afrocentric Hair Pins. Slap him with a pair of Bespoke Afrocentric Cuff links! The Brass Cufflinks’ symbolic motif takes on a radiant new form in the Lukagwa family. Designed with a dimensional framework, these sparkling cufflinks have a contemporary spin on traditional African art. Feel the beats from Africa with this pair of African drum cufflinks. The Luhya community in western Kenya is known for their famous Isikuti drum and their vigorous dancing.This pair of Custom made Brass cuff links is a creation of this drum. Perfect for gifting, this pair of custom made brass cufflinks feature african motifs. Africa has a wealth of patterns, everywhere you look you will see repetitions of shapes and colours, textures and lines laid out in all sorts of arrangements. 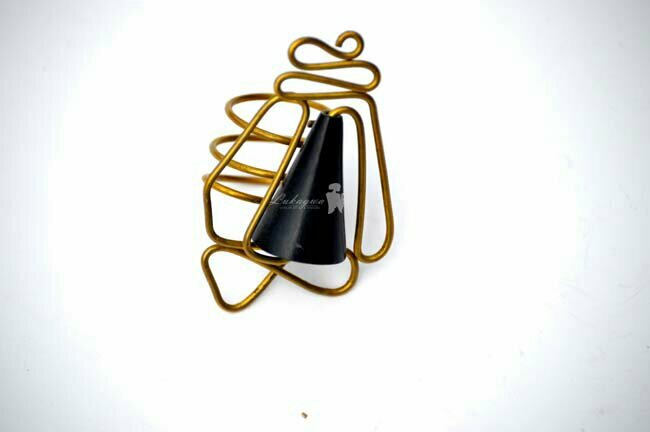 The Nyanga Pan Pipes flute is popular amongst the people of Mozambique. It is bamboo or reed instrument composed of multiple small tubes of varying length tied together.This pair of African Brass Cuff links are influenced by this powerful traditional flute. Style meets culture in this gourd shaped pair of Brass Cuff links.In our local setting the Gourd is used to consume porridge making it tastier.In our dialect we call it the Eshimuka. The idea of making Cuff links in the semblance of a Cello was influenced by a client. 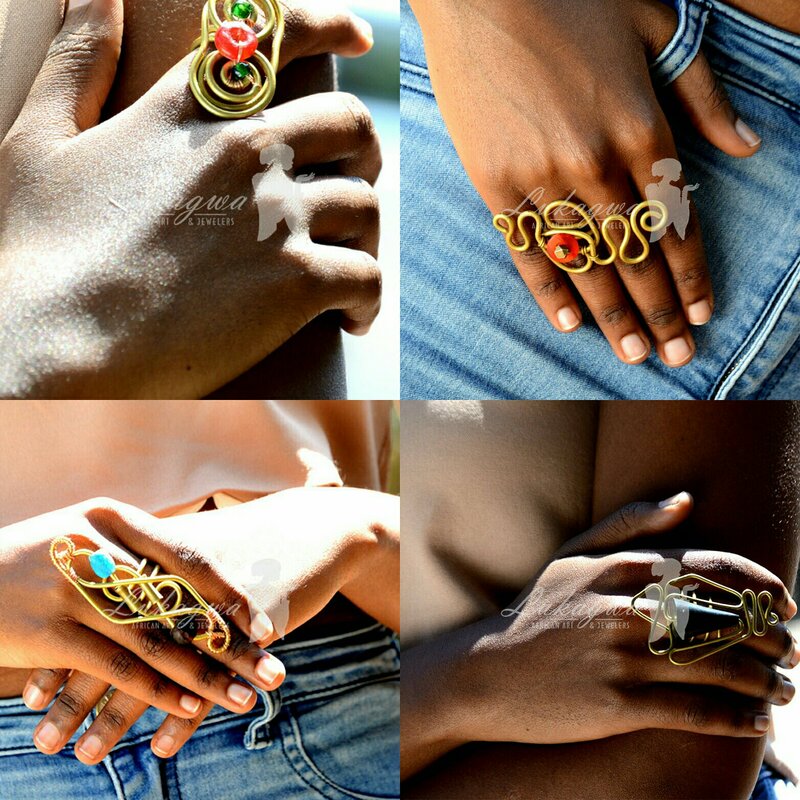 Notably Lucille, founder of Lukagwa has a passion for music thus we brought the concept to life. Fish is a delicacy and a source of livelihood for some in the Kenyan setting. We chose to depict this treasured aquatic animal in our custom made Afrocentric Brass Cuff links.